It is because I love you... my faithful blog readers... so very much that I am posting this amazing recipe today, at least a couple days earlier than I had planned. Perhaps other people would want to make these for parties this weekend too! Consider it my Christmas gift to all of you. This idea was spawned partly from my eggnog pudding shots last year and partly from an eggnog martini I created for Stoli (see below). The end result was nothing short of scrumptious. These aren't traditional in the sense that they don't use brandy or rum or bourbon. Instead I did a mixture of vanilla vodka and amaretto (though I think Creme de Cocoa or Frangelico would be bomb as well). 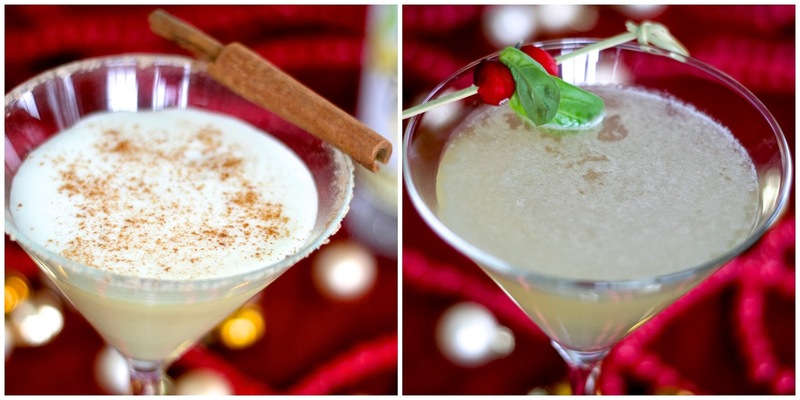 Oh, and if you want to check out the aforementioned Eggnog Martini or perhaps a White Christmas Cosmo... Click here to read more and head over to orgnl.tv. Pour eggnog into a small saucepan. 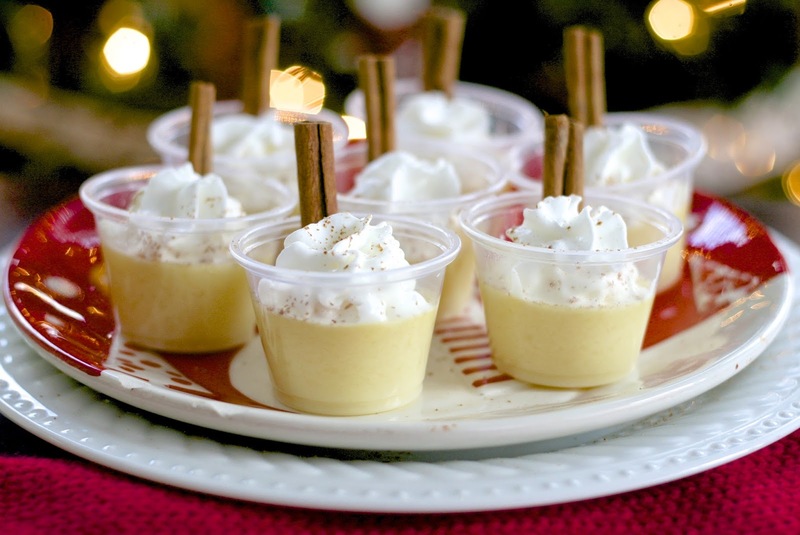 Sprinkle gelatin on top of eggnog and let it soak in a minute or two so it "blooms." (It will sort of look like applesauce). Heat over medium, stirring, until gelatin is dissolved. 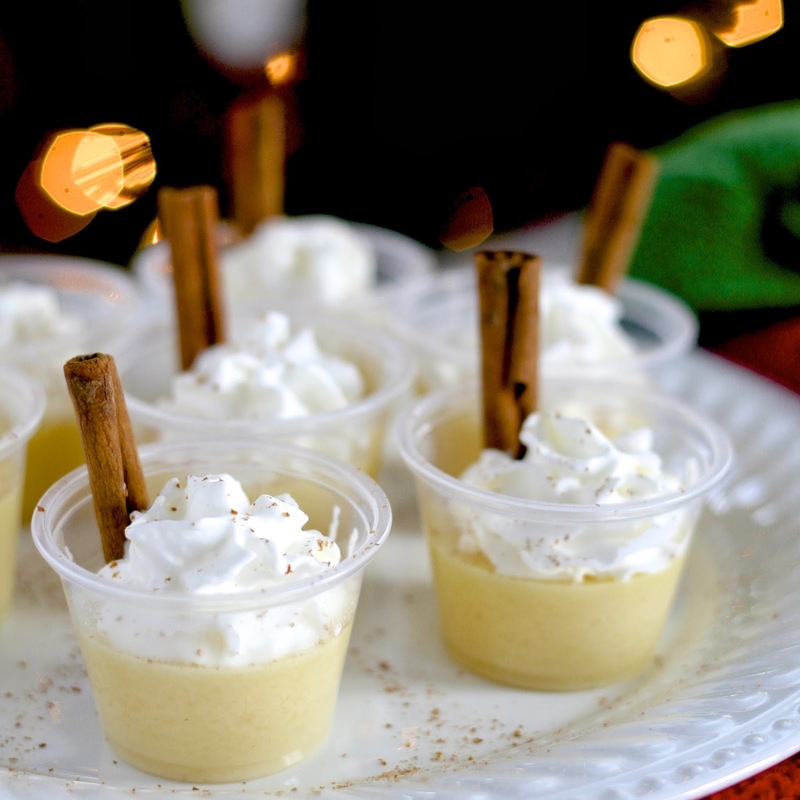 Combine eggnog with alcohols into something with a pour spout (such as a measuring cup). Place plastic shot glasses on a sheet pan and fill 3/4 of the way full. Refrigerate and allow to set four hours or overnight. When ready to serve, insert a cinnamon stick into the side of each shot. Top with whipped cream and sprinkle with cinnamon or nutmeg. Hi, could you tell me roughly about how many shots it will make? Thanks!